* Please note that this type of Pitch must be recorded by users on the SalesHood mobile app. 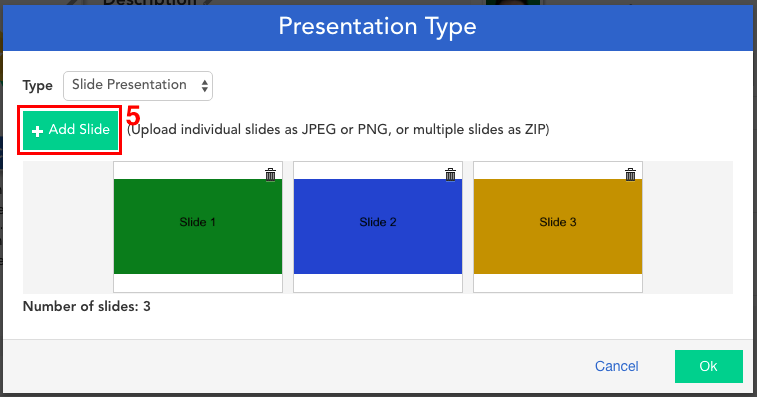 With a Slide Presentation Pitch (video-over-slides), you can launch a Pitch with pre-loaded slides for your users to go through. As you can see below, users will be able to record themselves (selfie-style video appearing in the corner) while swiping with their finger through slides, which will take up the rest of the screen. 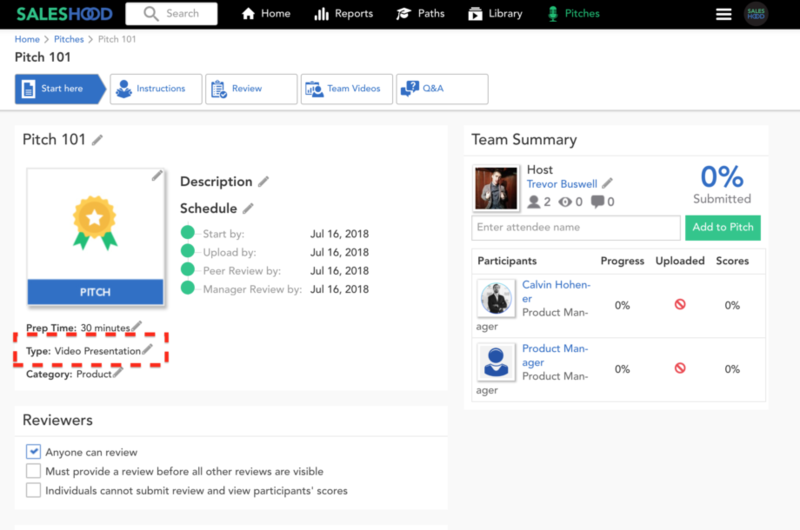 In this article, you will learn how to create one of these Pitch’s for your users, and you will also learn how to record your Slide Presentation Pitch from the end-user (user) point of view. 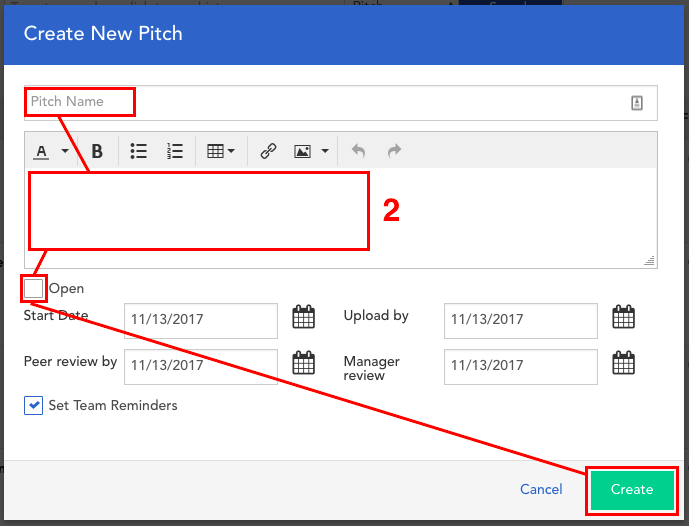 Choose between an Open and Scheduled Pitch. Once you are finished, click [Create]. Step 4: Once you click on the [pencil] icon next to [Type], you will see the following pop-up. Once here, click on the scroll down menu next to [Type] and choose Slide Presentation. Step 5: Click [+ Add Slide] to upload slides from your computer. Please note that you must upload individual slides as JPEG or PNG, or multiple slides as a ZIP. 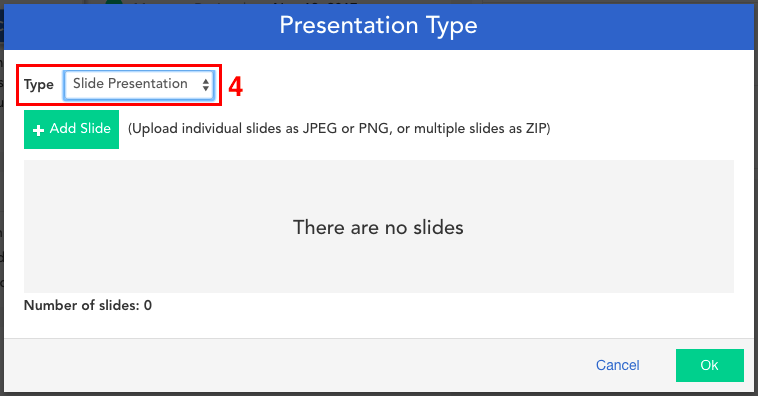 We recommend saving slides as JPEG or PNG directly from a slide deck in Microsoft PowerPoint or Google Slides. 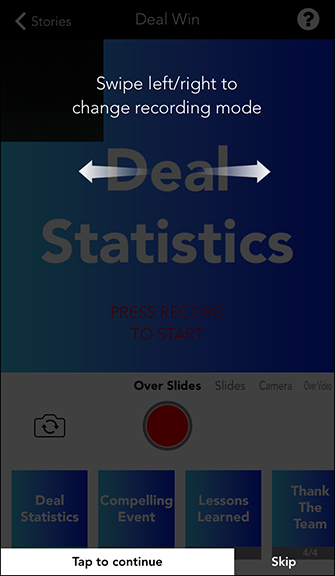 To learn how to record one of these Pitches, visit How to record a Slide Presentation Pitch (video-over-slides).